It is 1966; I have just begun teaching high school; and my housemate, Gary, who teaches at another school, has invited Ann, one of his teacher colleagues, to our place for dinner. But Ann also has a roommate and Gary asks if I would mind being the roommate’s “date” for the evening (aka, blind date). I‘m pretty sure you can figure out how the date part went, but there is much more to this story than a blind date switcheroo. It has to do with what we served for dinner that fateful evening — Syrian stew and Greek retsina wine. More specifically, it has to do with my peculiarly strong attachment to that meal — my peculiarly strong attachment to Ann is another story for another time. Be advised that the sesame theme for our blog post offers a literary loophole for me to ruminate about stew and wine. After some serious research, i.e., perusing a paragraph posted on Wikipedia, I found that Ali Baba and the Forty Thieves, the source of the famous “open sesame” command, possibly originated in what is now Syria and furthermore, could have been based on a Greek Cypriot story. Hence, writing about a Syrian dish with Greek wine for this blog makes just as much sense as referring to “Open Sesame” for a blog on sesame seeds. But more to the point, why do I have a peculiarly strong attachment to Syrian stew and retsina wine? To understand, you have to step back a few years prior to the blind date and to the apartment in Isla Vista (just off the UC Santa Barbara campus) I shared with two college roommates, Steve and Chuck. In those days I had zero cooking skills and even a lower level of wine sophistication. For me, Mateus was as good as it got! If I recall correctly, Syrian stew was Steve’s contribution to our culinary life. 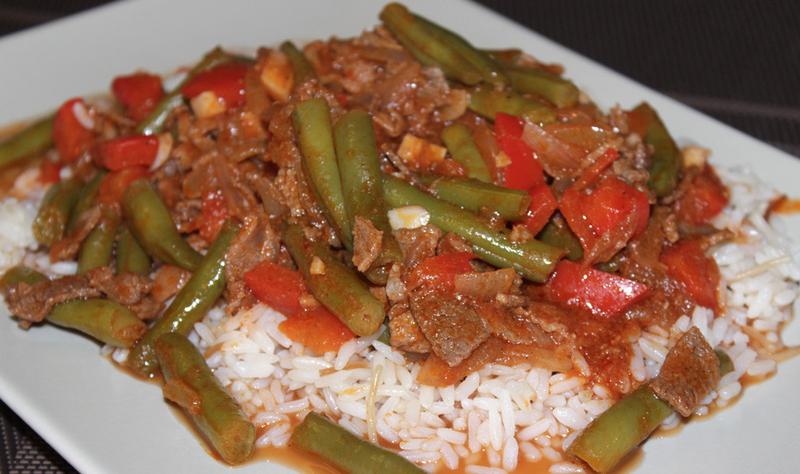 He actually boned lamb neck (quite sophisticated for a math major), seared the meat, and then threw it into a simmering pot of canned tomatoes and canned green beans. Then he’d toss in whatever spices or herbs that met his fancy from our meager larder . I don’t recall a formal recipe, so it was all sort of guess work. Keep in mind that this was over 50 years ago so I may be missing more than some details. 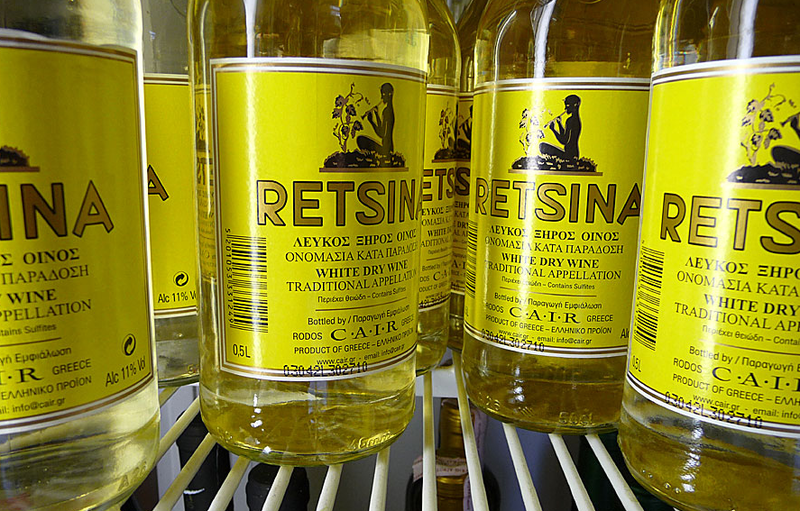 Most importantly, we always served Syrian stew with retsina wine, lots and lots of retsina wine. For those who are not familiar with this style of wine, it tastes like what it’s named for, resin or pine sap (here is why). Let me just say that most people I urge to try it politely decline after a sip, although according to at least one recent source it is making a comeback. But when you are 22 with blaring Greek dance music in the background while you stir the stew with your buddies it is hard to not love retsina. Of course, it also helps to be able to spout passages from Nikos Kazanzakis’ Zorba the Greek and attempt to emulate the classic dance scene from the movie in our small apartment. None of us, by the way, got to the point where we could lift a table with our teeth while dancing (something we once saw at a Greek restaurant, not the movie).